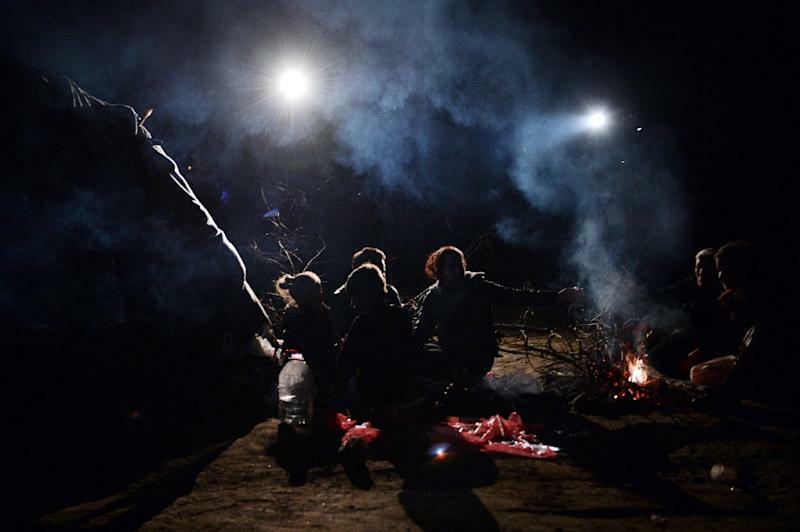 Athens (AFP) - Some 6,500 people were stuck at the Idomeni camp on Greece's northern border with Macedonia on Saturday after four Balkan countries announced a daily cap on migrant arrivals. 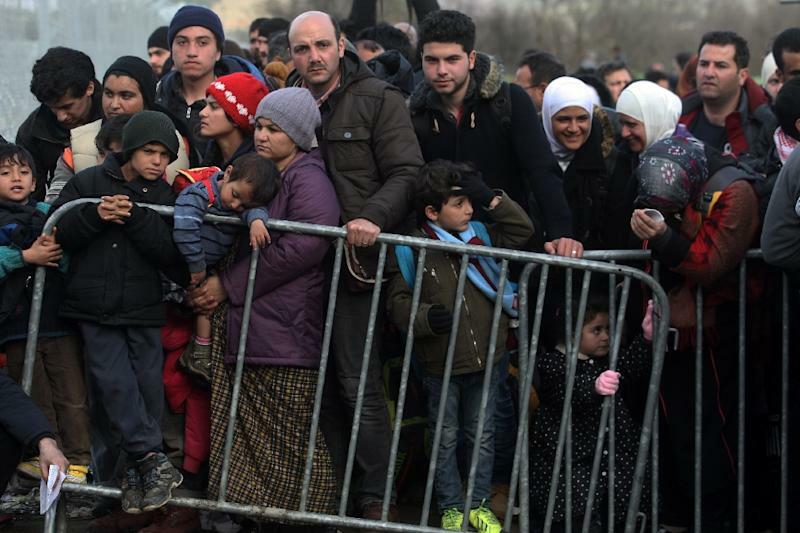 The build-up began in earnest last week after Macedonia started refusing entry to Afghans and imposed stricter document controls on Syrians and Iraqis, slowing the passage of migrants and refugees to a trickle. The situation looked set to worsen significantly after EU members Slovenia and Croatia, as well as Serbia and Macedonia, said they would limit the number of migrants entering each day to 580. 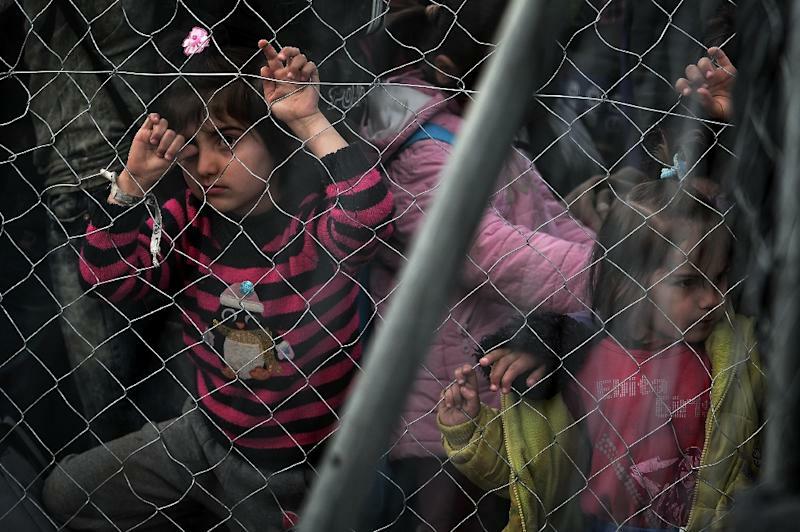 The tighter controls have left thousands -- including many children -- stranded in Greece, as the bloc's worst migration crisis since World War II shows no sign of abating.Late on Saturday, some 6,500 people were stranded at Idomeni, according to Athens News Agency. Macedonian authorities opened the Idomeni border crossing on Saturday afternoon and dozens of migrants were allowed to pass through, with local Greek police sources saying 300 were expected to cross the frontier by the end of the day. More than 20,000 refugees and other migrants are currently on Greek soil, according to the office of Migration Minister Yiannis Mouzalas. Tensions had run high along the border earlier in the day, with some 400 migrants staging a protest demanding entry to Macedonia. Friday's announcement by four Balkan states came a week after Austria said it would only allow 80 people to claim asylum per day, and also pledged to limit the daily number of people passing through the country to 3,200. The move has sparked a bitter spat between Athens and Vienna, with Greece fearful it would trigger a domino effect, leaving thousands stranded on its territory after crossing by boat from Turkey. Austria has repeatedly accused Greece of failing to police its borders properly and allowing too many migrants to continue their journey towards northern Europe. In a bid to regulate the flow of refugees, Greek authorities are trying to house them on the Aegean islands where they land by boat from Turkey. Last week, the EU told Austria that limiting asylum claims was "plainly incompatible" with European and international laws. On Saturday, some 3,000 people marched in Brussels demanding "safe passage now" for migrants while smaller demonstrations drew hundreds in Paris and other European cities. Some marchers symbolically wore life jackets and blankets in a bid to highlight the dangers migrants face trying to cross the Aegean Sea to Europe. "Nowhere is it written in the Geneva Conventions that one can close borders to refugees -- quite the contrary," the Belga news agency quoted protester Beatrice Dispaux saying. "These people need help and shelter and we can give them that. The situation is critical, the politicians must act urgently." Several rallies were held across Germany while a Belgian group of associations said some 100 cities across Europe and beyond were holding marches in support of migrants. About 200 protesters gathered in Paris, while marchers in the northern German city of Hamburg carried Afghan flags and banners reading: "No nation, no border".